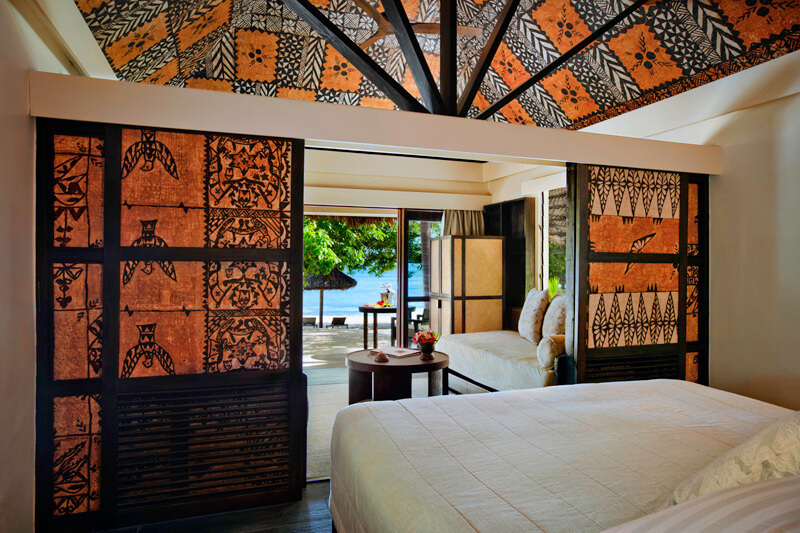 Castaway Island Resort Fiji. 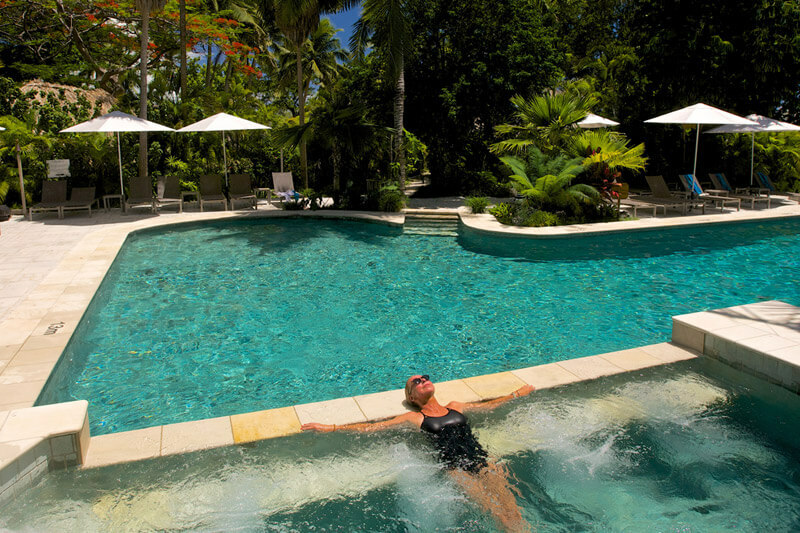 Package deals and Fiji holidays. 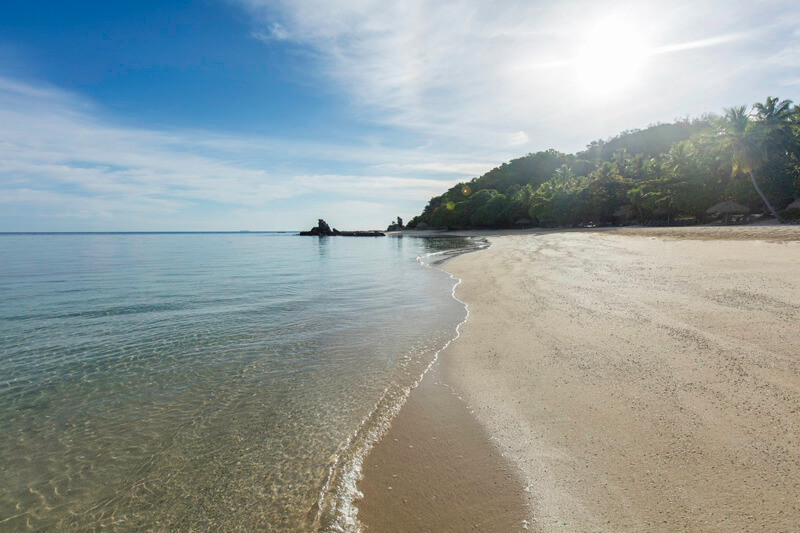 Castaway Fiji provides a unique South Pacific island experience – a great place to relax, unwind and enjoy life’s simple pleasures. 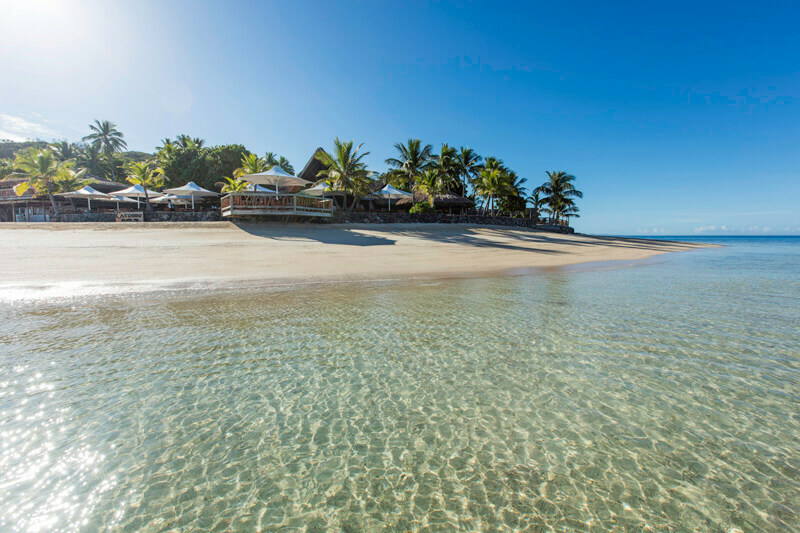 Castaway Island Resort is Fiji’s most popular AAA 4 Star accredited private island resort has guests returning year after year to experience the magic that has been “Castaway” for more than 40 years. 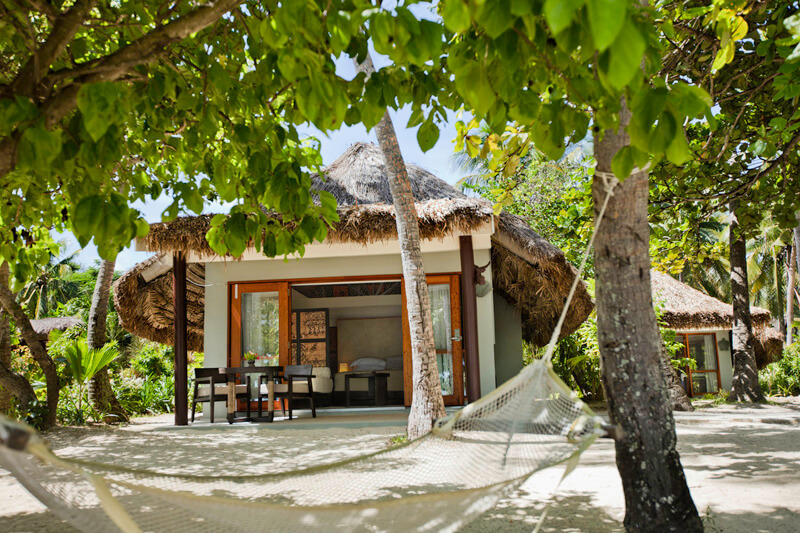 The island’s 174 acres are covered with lush tropical vegetation, surrounded by white sand beaches and vibrant coral reefs. 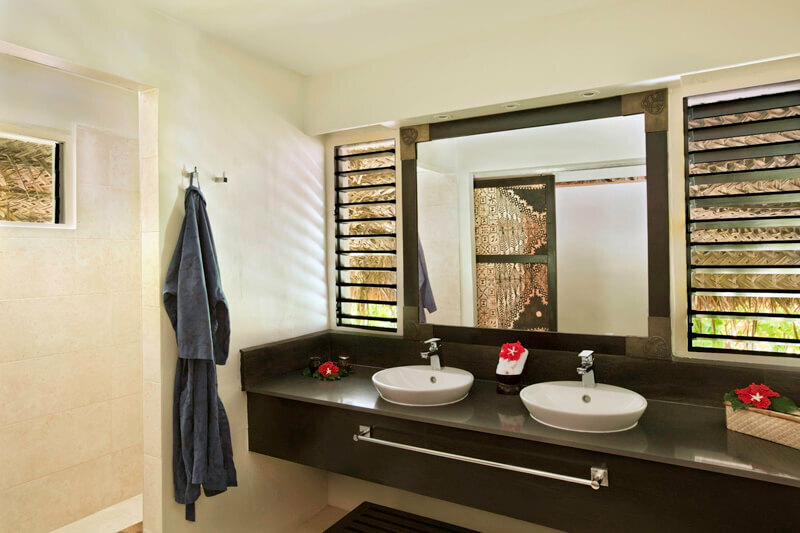 This beautiful private island retreat is a place for romantic couples with or without children. 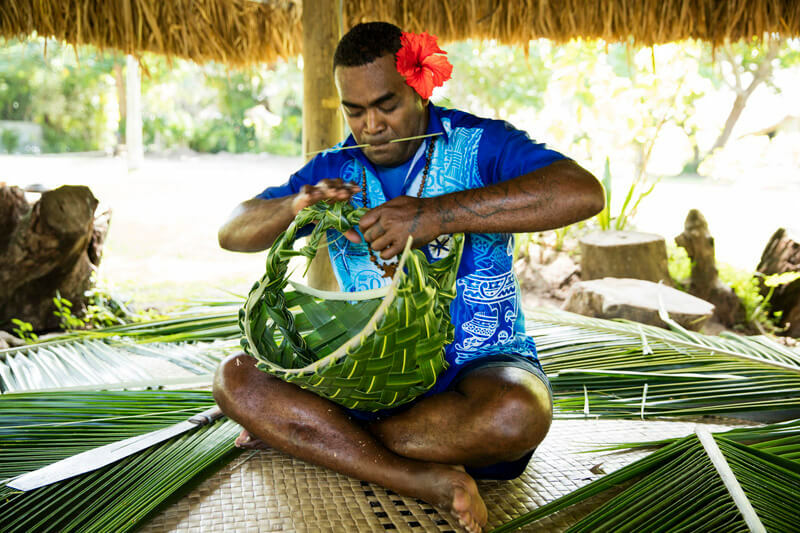 Castaway is the heart and soul of the Fiji Islands, exemplifying the warmth and genuine hospitality of her Fijian family of staff. 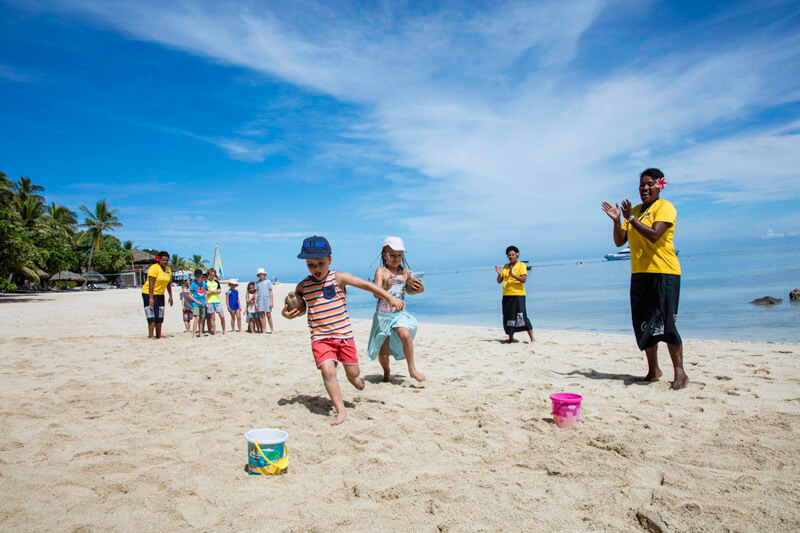 Castaway Island Resort Fiji is everyone’s place at everyone’s pace! 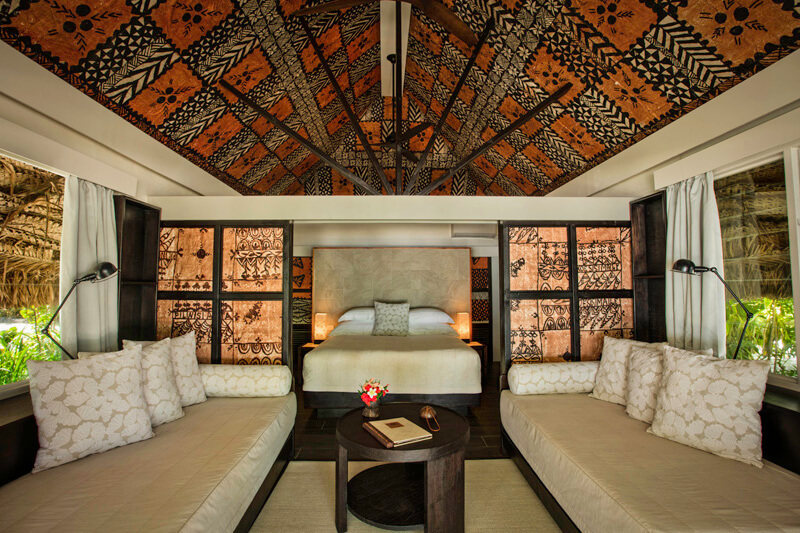 Castaway Resort is reminiscent of a traditional Fijian village, nestled amongst lush tropical gardens with individual thatched roofed bure accommodation featuring traditional high vaulted and hand painted “tapa” lined ceilings. 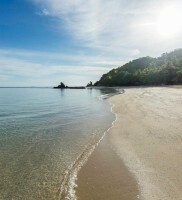 Accommodation includes 27 Island bures, 12 Ocean View bures and 27 Beach bures. Most comfortably sleep four people. For larger families and groups, bures can be configures to include an additional full size single bed or cot. 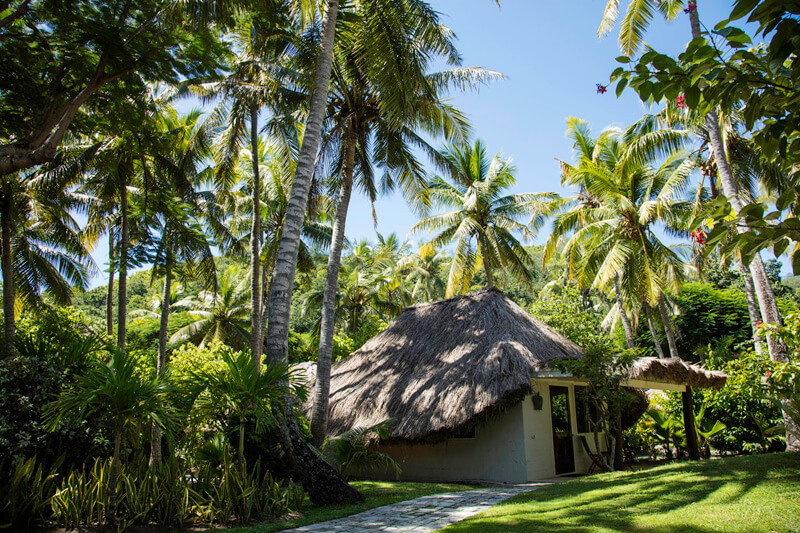 For large families or groups travelling together, the three bedroom Family Beach Bure sleeps up to 10 people. All bures are spacious, well ventilated with overhead ceiling fans and air-conditioning and feature quality inclusions throughout. 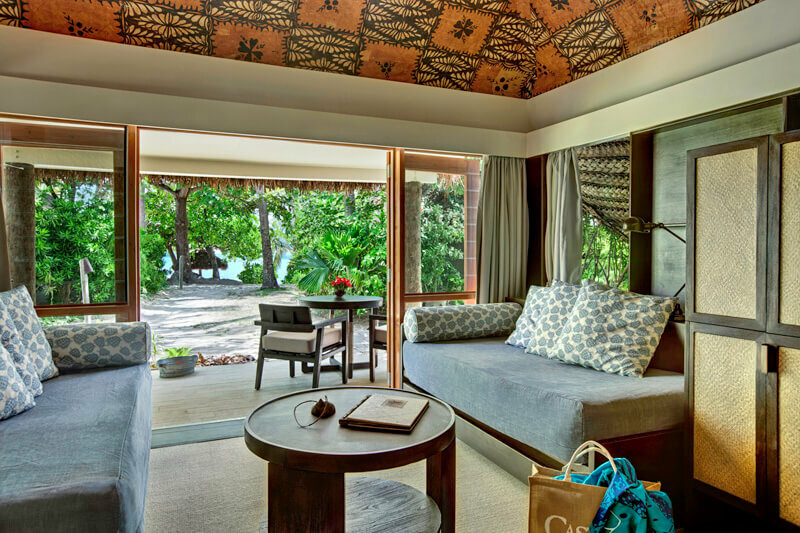 ISLAND BURE: Bedding is 1 King bed and 2 Single beds. 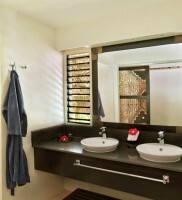 Maximum room capacity is 5 adults and children. 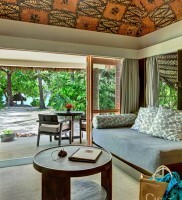 OCEAN VIEW BURE: Bedding is 1 King bed and 2 Single beds. Maximum room capacity is 5 adults and children. 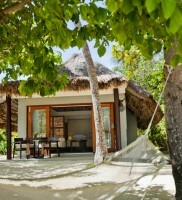 BEACH BURE: Bedding is 1 King bed and 2 Single beds. 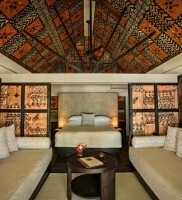 Maximum room capacity is 5 adults and children. 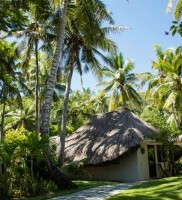 FAMILY BEACH BURE: Bedding is 2 King beds and 6 Single beds. Maximum room capacity is 10 adults and children. 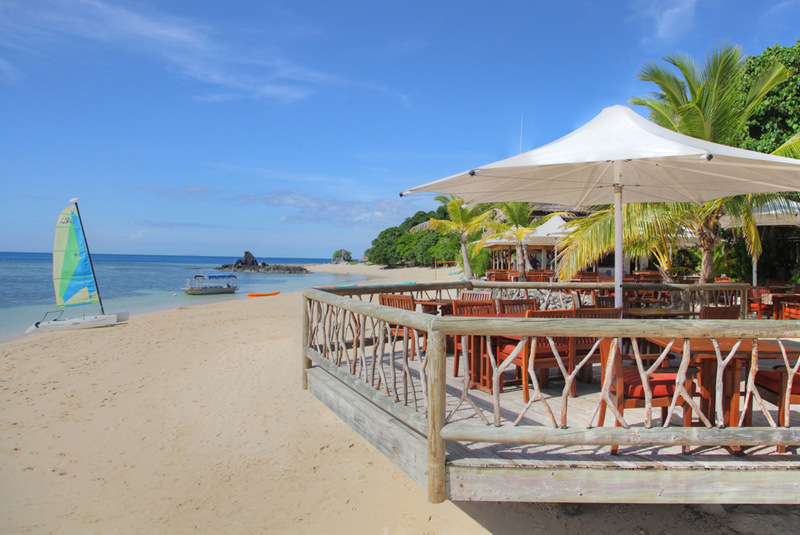 At Castaway you’ll be spoil for choice with the amazing dining alternatives on offer. 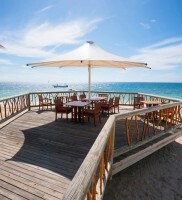 The dining options at Castaway caters to a range of culinary desires, with an emphasis on fresh seasonal produce sourced from both local and international suppliers. 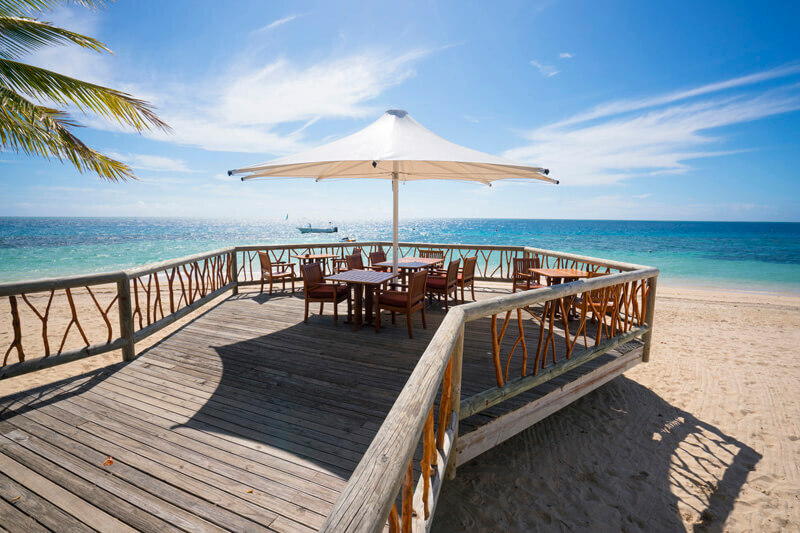 Waters Edge Restaurant: The Water’s Edge Restaurant can’t be missed, with its large white umbrellas and sweeping ocean views providing the ideal setting for Castaway dining. 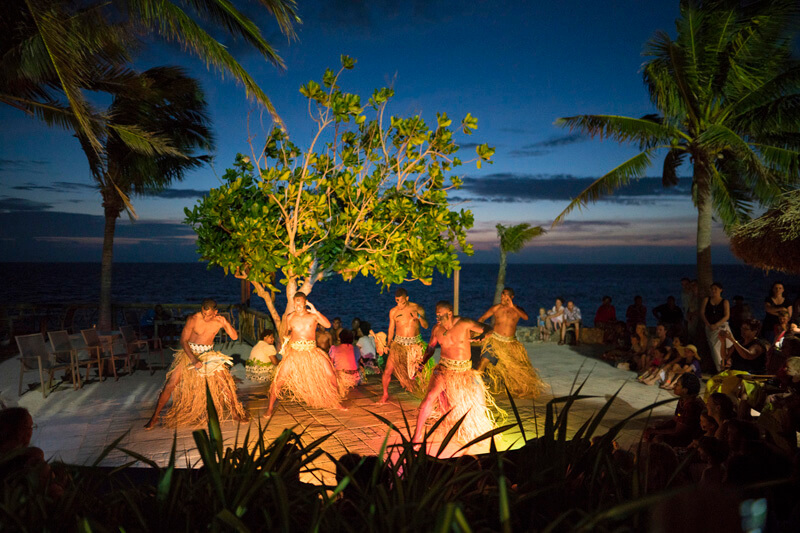 A magnificent starlit setting at the water’s edge is enhanced by the music and songs of the “Castaway Islanders” with their acoustic guitars and island style bass. Sundowner Pizza Bar: Enjoy Italian style gourmet wood fired pizzas featuring a thin, crisp base and delicious topping alternatives. Lali Bar: Relax and enjoy a delicious cocktail or icy cold beer at Lali Bar. 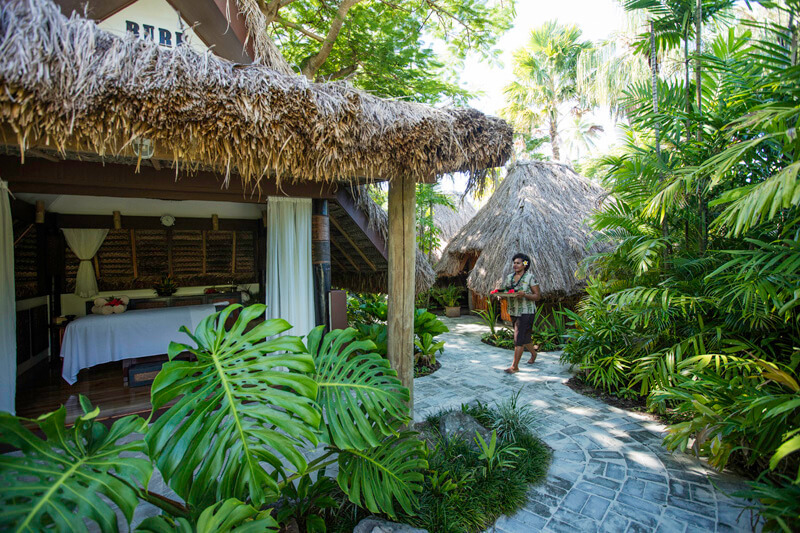 The ‘Lali’ bar opens at 8:00am and closes when the last guest calls it a night. 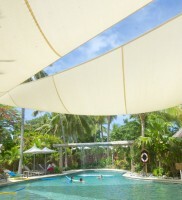 Nuku Marau Pool Bar and Grill: Enjoy a variety of Asian and Polynesian inspired delights throughout the day at the poolside Naku Marau Bar and Grill, including fresh hand rolled sushi, California rolls, Hibachi skewers, Hawaiian ‘tuna poke’, delicious Castaway burgers, traditional fish and chips and assorted wraps. 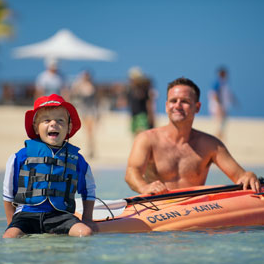 Castaway offers water sports for everyone and every age; snorkelling the island’s spectacular fringing coral reefs, windsurfing, parasailing, catamaran sailing or waterskiing on the crystal clear lagoon. 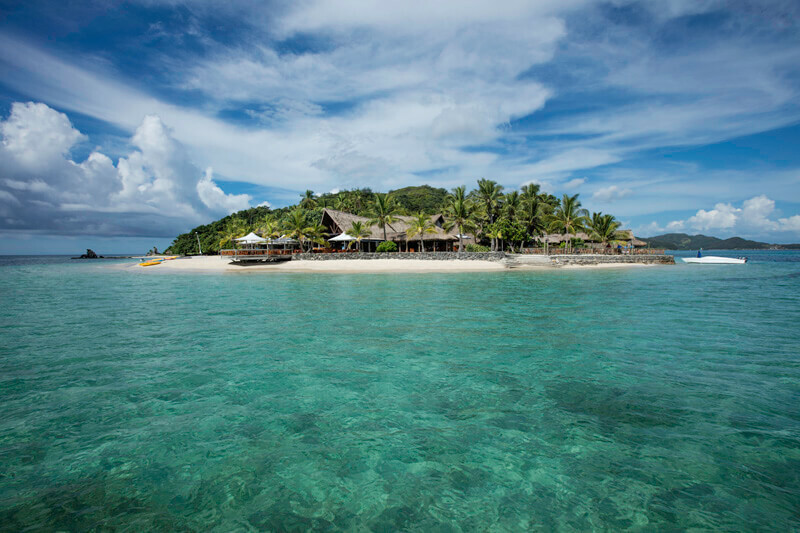 Explore 28 outstanding recreational dive sites within 20 minutes of the resort on board the 400hp “Sokia” with Castaway Diving an award winning, PADI accredited Five Star Gold Palm dive facility. 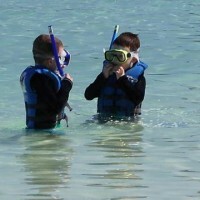 Qualified instructors and dive masters offer a selection of dive courses and exhilarating dive options. 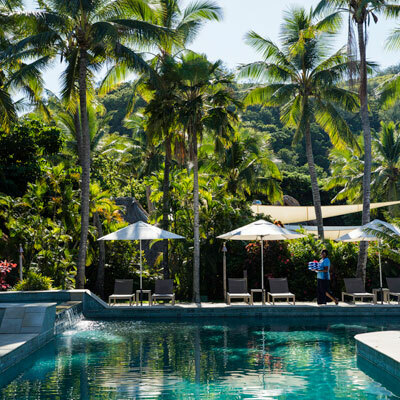 Island hop by speed boat with a champagne picnic, take a dolphin safari, play tennis on a champion ship sized court or simply relax in a hammock under the swaying palms. 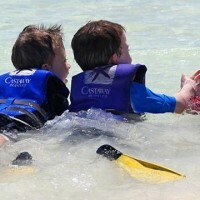 Holidays with kids at Castaway are easy. 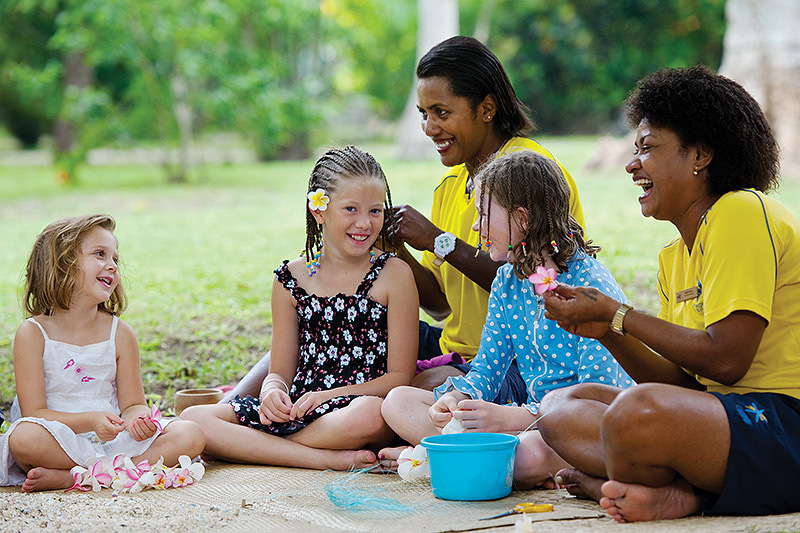 The resort has a fantastic Kid’s Club and offers dedicated babysitting and nanny services. 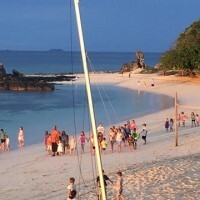 The Castaway Kid’s Club is a place where children are encourage to have fun and meet new friends in a safe, protected environment. 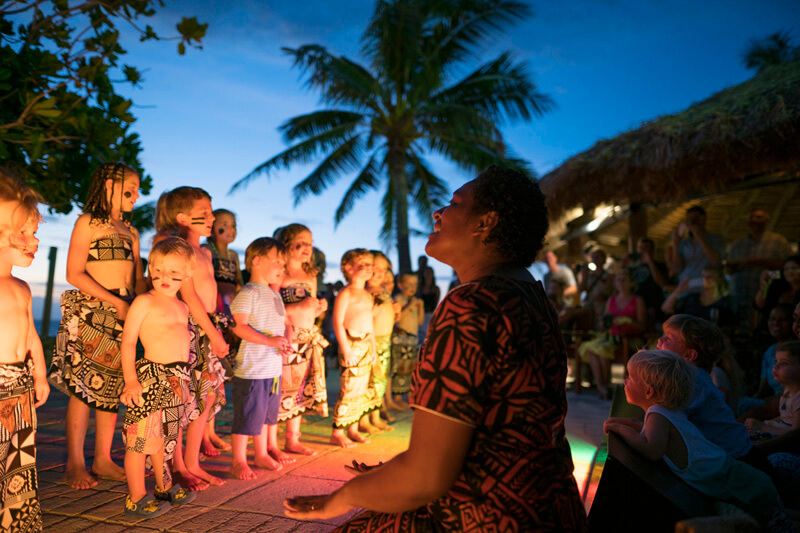 Supervised daily adventures and educational games with a distinctive Fijian flavour run throughout the day and into the evening. 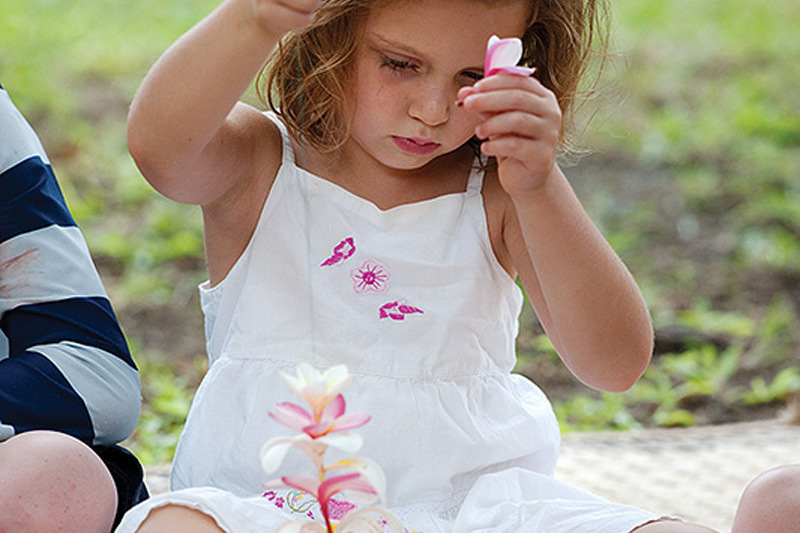 Designed for children 3 years and over, fully supervised activities run from 9am – 4pm, and then from 5.30pm – 10pm. daily. The Kid’s Club is free to all guests. 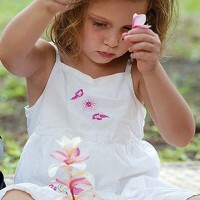 Babysitters are available throughout the day and evening at a nominal charge. 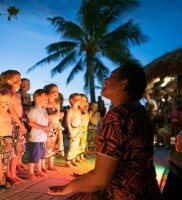 We can tailor a Fiji family holiday at Castaway Island Resort just for you. 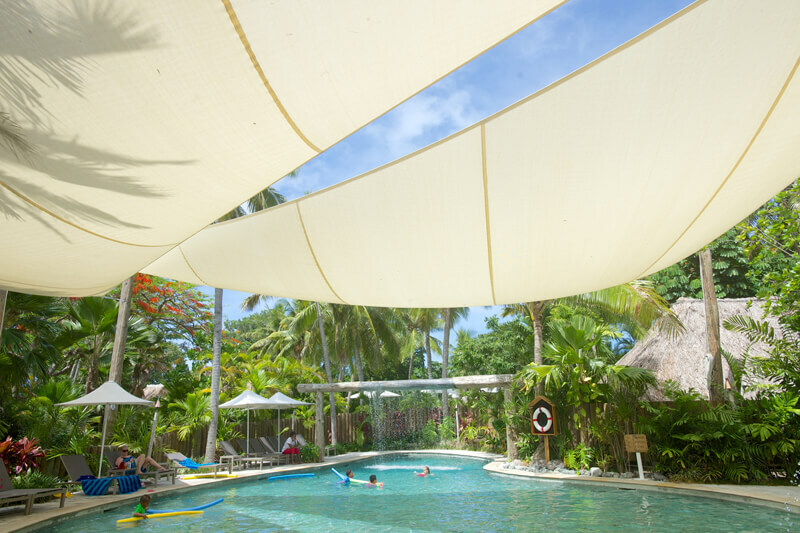 Whether you want to spend time all together or relax while the children enjoy Kids Club, we can create the perfect family holiday in tropical paradise. 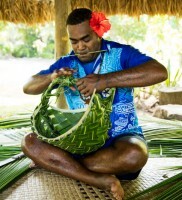 More information about Castaway Island Resort packages & Fiji holidays. 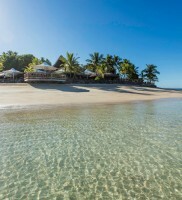 No-one knows the extraordinary Fiji Islands like we do! 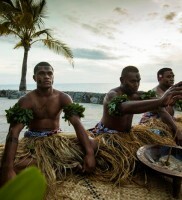 We are specialist Fiji travel agents and can organise every aspect of your holiday. 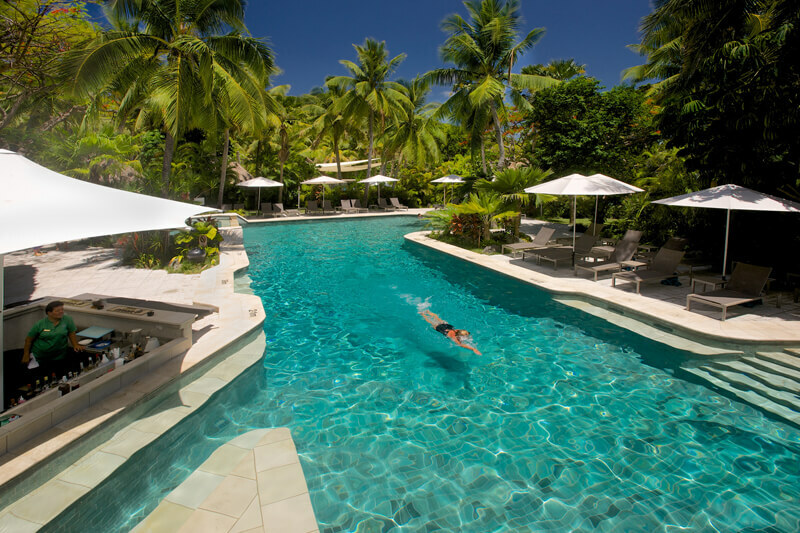 Whether you’re planning a family holiday, tropical wedding, romantic escape or honeymoon, group holiday with friends and family, island cruise or corporate retreat, we can help. 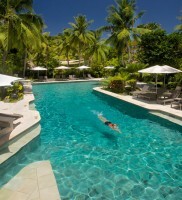 Be sure to check out our Fiji package deals and travel discounts. 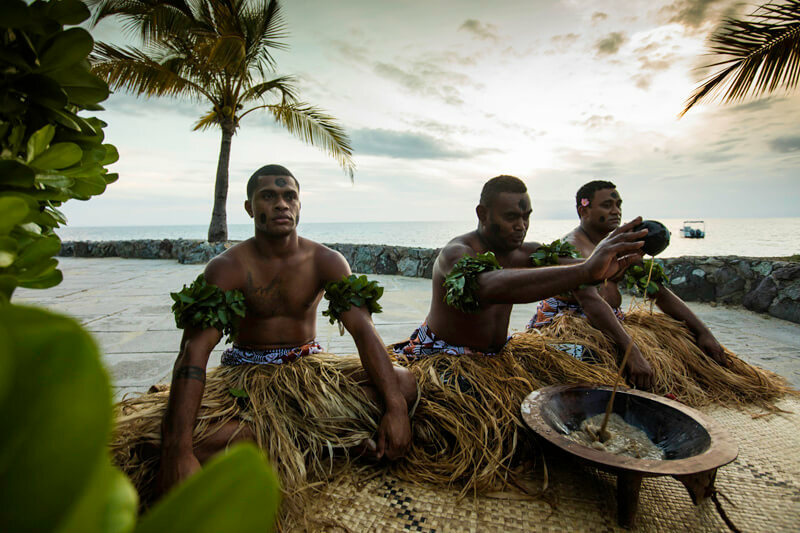 We know how to organise a Fiji destination wedding better than anyone. 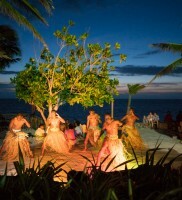 With over 40 years experience, we can organise your dream Fiji wedding or honeymoon. 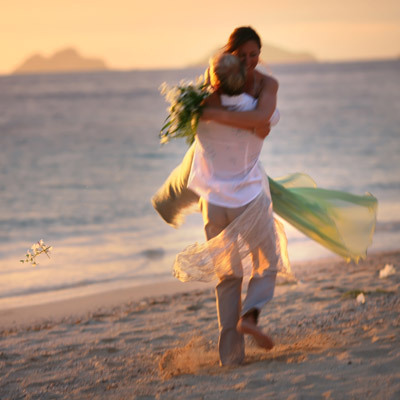 Whether you’re planning an intimate, small wedding for just the two of you or a ceremony and reception for 150 guests your Castaway Island Resort wedding is guaranteed to be a day you’ll never forget.